Your Baking Consultant for Corporate Occasions. Each workshop is 100% customized to the respective clients’ aim and objective and are effective in boosting team spirit and build good relationships between colleagues as they conquer new milestones together. 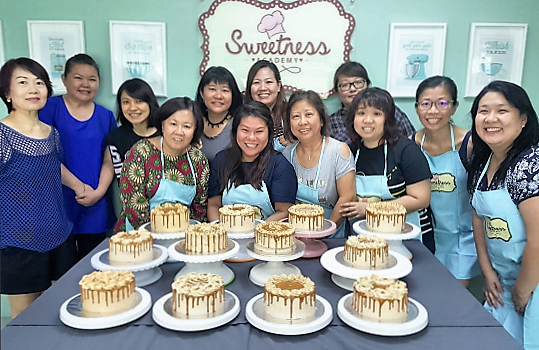 The beauty of our corporate workshops is that besides the team-building aspect, every single participant will get to have a hands-on baking experience and go home with a complimentary Sweetness Academy apron, and of course, their own sweet bakes. A lil’ Sweetness goes a long way! Get in touch with us to organize your next corporate workshop or order your memorable corporate cake! We are able to customise team building workshops to cater to your needs, ensuring a fun-filled and enriching session. We believe that corporate workshops should be interactive & fun, no matter what your budget is. 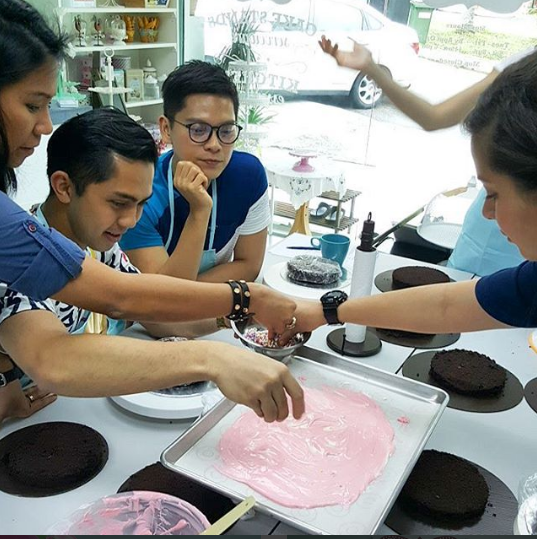 Our team building workshops are specially designed to bring people together through the joy of baking. Watch your team communicate and cooperate with one another as they decipher recipes and methods of baking. At the end of the workshop, your team will be leaving the studio with improved relationships, revived creativity and their yummy masterpiece! Inject fun into your team building at our fully furnished baking studio! Looking for a bespoke customised cake or unique edible product to celebrate your company’s milestones, product launches and anniversaries? Our cake artists are adept at creating cakes that are suitable for your brand identity and personality.